New antennas up in the air. 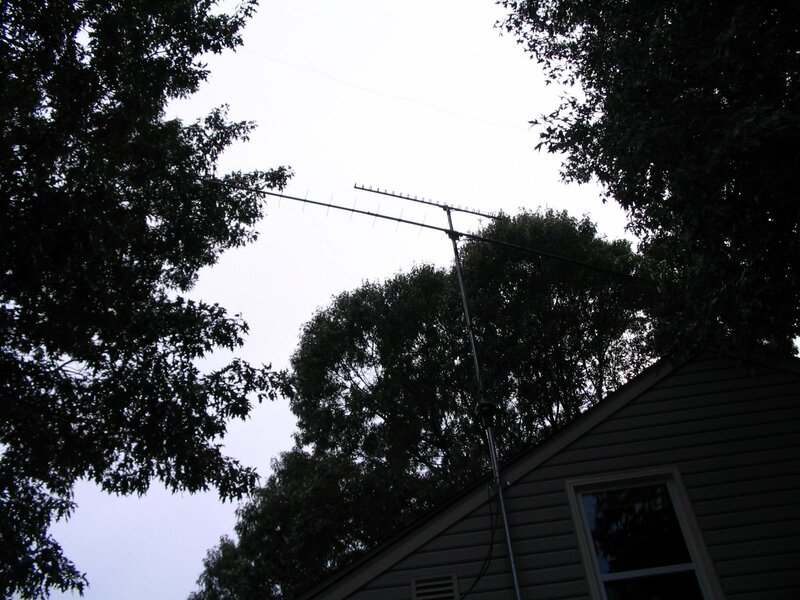 It was hot this afternoon but I was able to get two of the three planned antennas up. Tomorrow is the ARRL UHF Contest so hopefully I'll be ready (still have to trim a limb or two out of a tree). Top antenna is 23cm (1278MHz) and the lower one is 70cm (432MHz). There will be a 2m (144MHz) antenna added later (tomorrow? ).